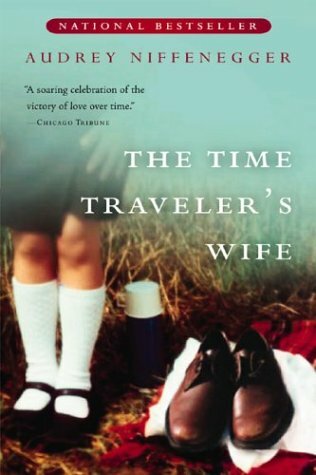 This month for book club we read "The Time Travelers Wife" by Audrey Niffenegger and I have to admit I was never very keen to read this book. I guess that is one of the beauties of book club you have to read books that you otherwise wouldn't, plus you get yummy food and cups of tea. As I am sure you know the book follows the relationship of Claire and Henry, Henry who just happens to be a time traveler. Personally I found the book quite confusing even till the end I was still having to reread paragraphs to make sure I was keeping up. The book had a constant pace right until the last 100 pages or so where I felt lots of things suddenly happened. What I did like about the book was the way Niffenegger established the relationship between Claire and Henry, you felt as though you really got to know the ins and outs of their relationship, the good as well as the bad. The book is essentially a love story and this theme is communicated well to the reader. Ultimately, the thing that turned me off this book was the message that your future is a set path and you are unable to change what happens. I am not sure if other people found this about the book but I would love to hear your thoughts? This month were reading The Book Thief by Markus Zusak which I am really excited about. Does anyone have any recommendations for books I could suggest for next month? I've watched the film and it made me feel I would love to read the book even more, especially in English. It is in my plans to buy that one... oh! I have such a long list, but I think it can be a great book to read in summer time. I understand what you mean about the set path in life, but I didn't really take that away with me. I wrote to you about it a little, but I just got completely swept up in their love story. I kept reading that book, waiting for it to get better and I just never found it. I was annoyed by some of the unnecessary crass language and topics-- like how they talk as if everyone in the world went around casually doing drugs. Oooooh the Book Thief. That's one of my very favorite books. I'm usually nota fan of love story books like this... but I really enjoyed this one in particular. 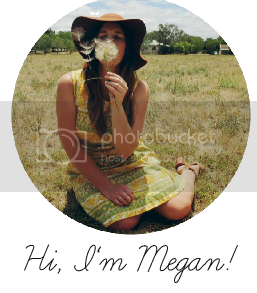 Hey Megan :) Thanks for posting about this book. I read it last year and have to say that I loved it. I'm sad I wasn't in a bookclub at the time because I think it would have made for great discussions (around yummy treats and tea). I know what you mean about bookclub expanding the material you would normally choose for yourself. I have read this book too and I didn't like it all that much. I found it extremely interesting and the relationship between Claire and Henry was well written. I think it made me more depressed in the end. And I too don't like that you can't change your path. I hate love story books (think notebook, etc.) but I read this book and I loved it. I don't know why, maybe like you said the way she made you feel as though you were in the relationship, but I was so moved by the story I even cried at the end (totally unlike me). I agree about the set path, although I didn't think of it at the time. I was so moved by the love story that I guess I didn't notice it. I just thought it was beautiful. I couldn't see the movie because it's never "the same" but I felt that in the book it focused more on Henry and I heard in the movie it seemed to be more about Claire. I am currently reading The girl with the dragon tatoo, and it could be great for a book club!! ALSO, look into Snow Flower and the Secret Fan. It follows women's culture in China during the early 1900's and is absolutely FASCINATING. It's so real and touching. You really get a grasp on the woman's role during that period of time and what it would feel like to grow up in China as a girl. i was hesitant to pick up time traveler's wife as well, but was so happy when i did! i was pleasantly surprised at what a great love story this was. the book thief is soooo good! i listened to the audio version in the car and hated each time i reached my destination b/c that meant i had to turn it off! oh i love book club! time traveller's wife is one of my faves as a story on its own. i do see what you are saying about your path being chosen for you but i think it was unique to making claire and henry work. i second sheba's the gargoyle recommendation. we just read it for our bookclub and it was a hit! i also love book of negroes, water for elephants, little bee, the kite runner and a thousand splendid suns. oooh i keep wanting to watch the movie, but i won't let myself until i read the book (whenever that happens!) i wish i was a faster reader!! I have read the book and watched the film too, honestly, I like the book more. This is one of the book that I couldn't put down. I love it. oh im so keen to start a book club - its on my to do list! i didnt mind the time travellers wife - didnt love it but didnt hate it! the book thief is in a big pile of books that im trying to get through. bring on holidays!!! have you read the hunger games? FANTASTIC!! I read 'The Time Traveller's Wife' online for free...it was fine but I am glad I didn't buy it for I wouldn't re-read it (I like to read my favorite multiple times). I highly recommend 'The Glass Room' by Simon Mawer, it was the most intriguing book I've read in a long, long time. What's up colleagues, its fantastic piece of writing about educationand fully explained, keep it up all the time. Hello! I simply want to give a huge thumbs up for the nice data you could have right here on this post.